Thursday, March 1 at 5:00pm | The Italian Research Seminar: MA Presentations — “Alessandro Blasetti’s Cinema and the Fantastic: A Closer Look at the Unmarried Woman” by Genevieve Lyons, and “Representations of Self: Dante’s Use of First Person in the Vita Nova” by Katie Sparrow. Sponsored by Italian Studies at Notre Dame. The spring exhibit, In a Civilized Nation: Newspapers, Magazines, and the Print Revolution in 19th-Century Peru, officially opens on February 9. The exhibit is curated by Erika Hosselkus and draws on strengths of Rare Books and Special Collections’ José E. Durand Peruvian History collection. Together these items offer diverse perspectives on Peruvian political events and cultural and religious practices and preferences from the colonial era, through the country’s birth in 1825, and beyond the turn of the twentieth century. The spotlight exhibits during February are Reading the Emancipation Proclamation, curated by Rachel Bohlmann, and Baseball and Tin Pan Alley: Sheet Music from the Joyce Sports Collection, curated by George Rugg. 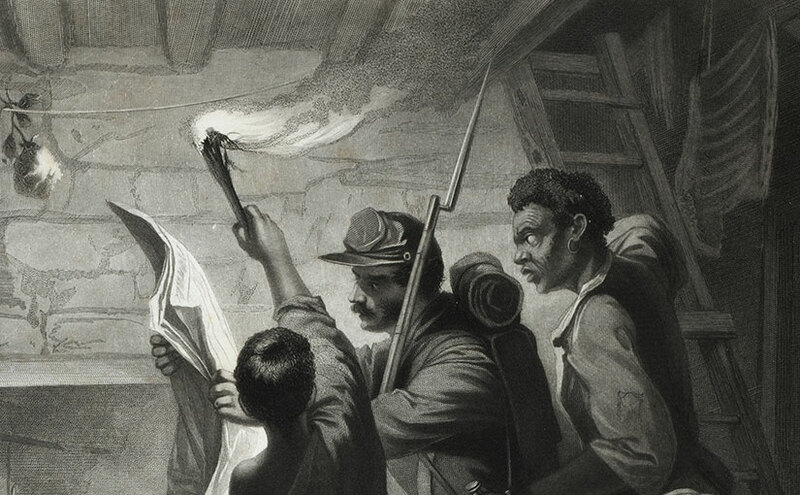 The January-February spotlight, Reading the Emancipation Proclamation, highlights a print acquired by Rare Books and Special Collections in 2017. 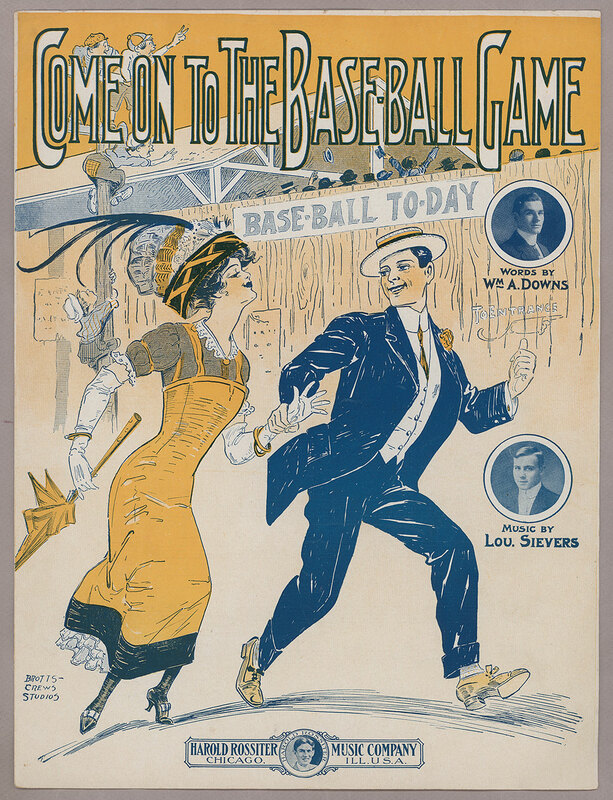 The winter spotlight, Baseball and Tin Pan Alley: Sheet Music from the Joyce Sports Collection, continues through February. In 2015 RBSC acquired a collection of more than 450 examples of baseball-related sheet music, dating from before the Civil War to the late 20th century. On display in this spotlight exhibit is a small sampling of the collection, with items ranging from the early days of baseball to the end of the Tin Pan Alley era. The examples on display in this spotlight exhibit are selected from Special Collections’ Baseball Sheet Music Collection. This exhibit is curated by George Rugg, Curator, Special Collections. The fall exhibit, Elements of Humanity: Primo Levi and the Evolution of Italian Postwar Culture, was extended into January and closes on Tuesday the 23rd. The spring exhibit, In a Civilized Nation: Newspapers, Magazines, and the Print Revolution in 19th-Century Peru, will open in early February — watch for more information on the blog! Thursday, November 16 at 5:00pm | The Italian Research Seminar: “Alberti and Poetry” by Maria Sole Costanzo (PhD candidate, Notre Dame). Sponsored by Italian Studies at Notre Dame. Rare Books and Special Collections will be closed for Thanksgiving Break (November 23-24, 2017). In addition, RBSC will be closed December 5, 11:00am to 2:00pm due to the Hesburgh Libraries Christmas lunch. The fall exhibit, Elements of Humanity: Primo Levi and the Evolution of Italian Postwar Culture, continues to be on display through December 15, 2017. Public tours of the exhibit are offered Tuesdays at noon and Wednesdays at 3pm, and are also available by request for classes or other groups, including K-12 audiences. 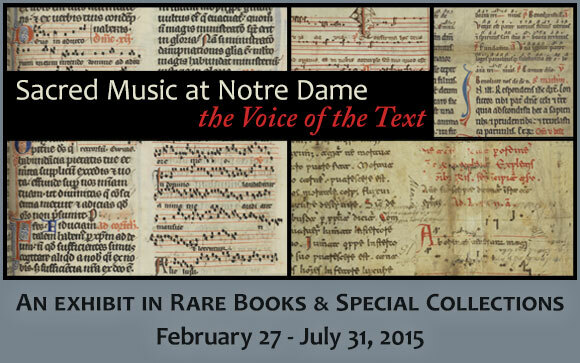 If you are planning to bring a group to Special Collections or would like to schedule a special tour, please email rarebook @ nd.edu or call 574-631-0290. The monthly spotlight exhibit for November and December is Building A Colonial Mexican Tavern: Archive of the Pulquería El Tepozán, curated by Erika Hosselkus. This exhibit features a manuscript archive which includes real estate, licensing, and planning documents for the pulquería El Tepozán. It was one of four such establishments built by nobleman don Pedro Romero de Terreros, the Count of Regla, in Mexico City, beginning in the final years of the 1770s. The summer spotlight exhibit, “Which in future time shall stir the waves of memory” — Friendship Albums of Antebellum America remains open for one more week. The winter spotlight exhibit, Baseball and Tin Pan Alley: Sheet Music from the Joyce Sports Collection, will open in mid-November and highlights the department’s collection of approximately 400 pieces of baseball related sheet music. In August 2015, Giles Constable donated a small collection of fragments and charters in memory of his daughter, Olivia Remie Constable (1960-2014), who had been the Robert M. Conway Director of the Medieval Institute at the University of Notre Dame. The gift included a thirteenth-century leaf from a processional, later shown to be at Wilton Abbey, a women’s Benedictine house, until 1860. The parent manuscript was broken by Cleveland biblioclast, Otto F. Ege (1888-1951), who included leaves from it in his portfolio, Fifty Original Leaves from Medieval Manuscript. It was Leaf no. 8. Leaves from the processional were disseminated widely through Ege’s portfolios as well as from later dealers, and now are part of many American and Canadian collections. Processionals contain the antiphons and rubrics pertaining to the processions themselves. For example, Palm Sunday and the Visitatio sepulchri are included. Constable MS 4 contains part of the procession for Palm Sunday. 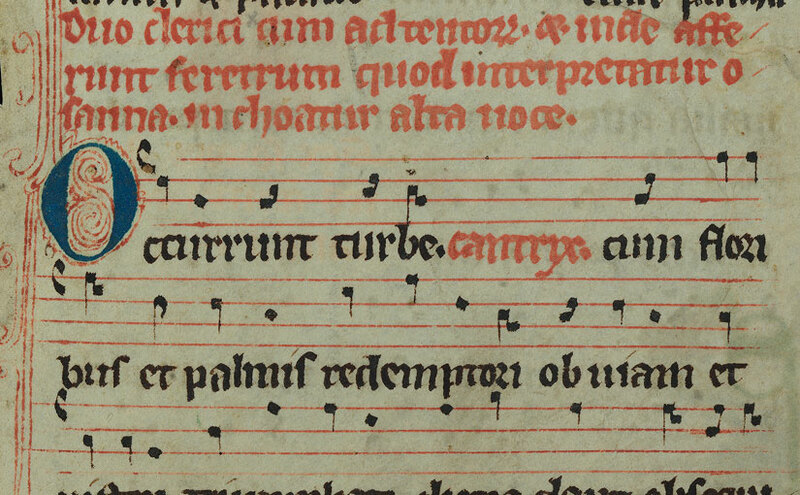 Of great interest, and rarity, is the use of feminine forms in the rubrics (e.g., ‘cantrix’). This shows intentional customization for a female religious community, whereas many other manuscripts often transmit the masculine forms even though they were used by women. Alison Altstatt, “Re-membering the Wilton Processional,” Notes 72 (2016): 690-732. David T. Gura, A Descriptive Catalogue of the Medieval and Renaissance Manuscripts of the University of Notre Dame and Saint Mary’s College (Notre Dame, IN: University of Notre Dame Press, 2016), pp. 480-482. Scott Gwara, Otto Ege’s Manuscripts (Cayce, SC: De Brailes, 2013). 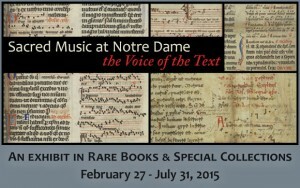 This small exhibit highlights selections from the Hesburgh Libraries’ collections of musical adaptations of Dante’s works. 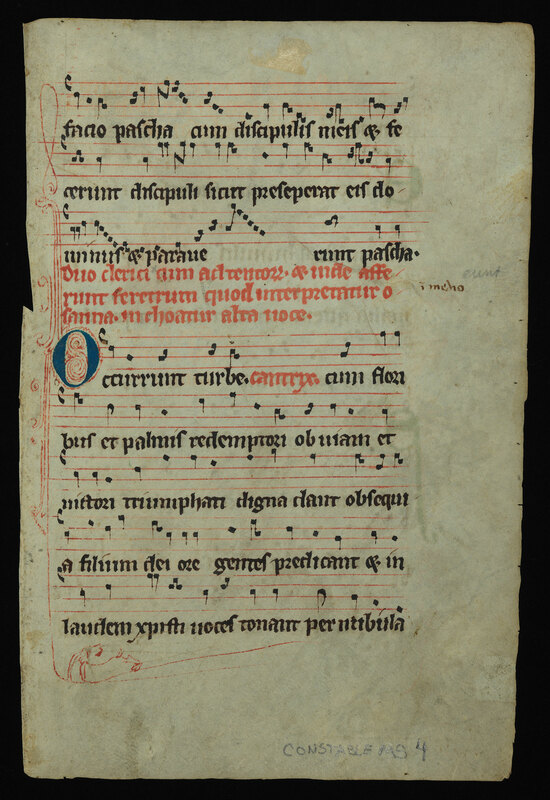 On view are historical examples of compositions relating to Dante’s Divina Commedia and Vita Nuova. While Dante witnessed musical adaptations of his texts composed already in his own lifetime, they hit a high point in the mid-19th century when the author’s popularity surged in both Italian and translation readership. This spotlight exhibit will be visible from October 3-28 in Rare Books & Special Collections on the ground floor of Hesburgh Library. The exhibit is presented in conjunction with Journeying La Divina Commedia: Desert, Discovery, Song, an interdisciplinary musical project, which will be performed at the DeBartolo Performing Arts Center on the campus of the University of Notre Dame on October 8-9, 2016. For more information about the exhibit or collections in this area, please contact Tracy Bergstrom, Curator of the Zahm Dante and Early Italian Imprints Collection.